The Home Affordable Refinance Program (HARP) was an initiative put forward during the Obama administration, that offers a number of options designed to help homeowners, depending on their individual circumstances. The Home Affordable Refinance Program (HARP) was an initiative put forward during the Obama administration, that offered a number of options designed to help homeowners, depending on their individual circumstances. Subsequently, the program came to be known as the "Obama Mortgage." The end date to get a HARP refinance has been extended through December 31st, 2018. Some borrowers may only be eligible for certain types of assistance under this program. It will depend on how quickly they act after realizing that their ability to make mortgage payments might be in jeopardy. It is important to reach out as soon as financial difficulty begins so that they are in the best position to retain ownership of their homes. Homeowners that fall behind in their payments may learn that they have fewer available options. HARP was designed for homeowners who are current on their payments, but have had difficulty refinancing. This is a good option for those who owe more than their home is worth, as long as the mortgage is owned by Fannie Mae or Freddie Mac. The Home Affordable Unemployment Program, or UP, reduces or suspends monthly mortgage payments to give borrowers a cushion while they look for another job. It temporarily stops required payments for up to 12 months or reduces them to no more than 31% of gross income. 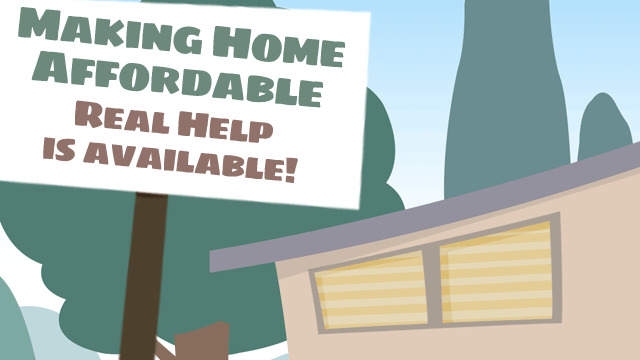 Other programs include Home Affordable Modification Program (HAMP), Home Affordable Foreclosure Alternatives Program (HAFA), Hardest Hit Fund Programs (HHF), and FHA Short Refinance for Borrowers with Negative Equity (FHA Short Refinance). Each program has its own deadline, so act fast to meet the application requirements.